Exercise your way to a healthier 2019 at Campaign! Ditch the gym (and those pesky gym memberships) and get into the great outdoors for a session of paintballing or Laser Tag in Surrey. A mere 30-minute drive from London, it’s easy to get to and once you do you’re guaranteed something incredibly rare – a fun work out that you don’t even notice is a form of exercise. A game of paintball is a great way to escape the winter blues – you no longer have to dread getting back into shape after the festive season’s indulgence. And the best bit? You can do it alongside family and friends. Kids as young as eight are welcome for games of mini paintball and all protective equipment is provided. You’re constantly on the move while paintballing in Surrey at Campaign. As a result you get a full body work out without having to constantly change machines. Your strength and stamina will increase before you know it – it’s a great cardiovascular work out! 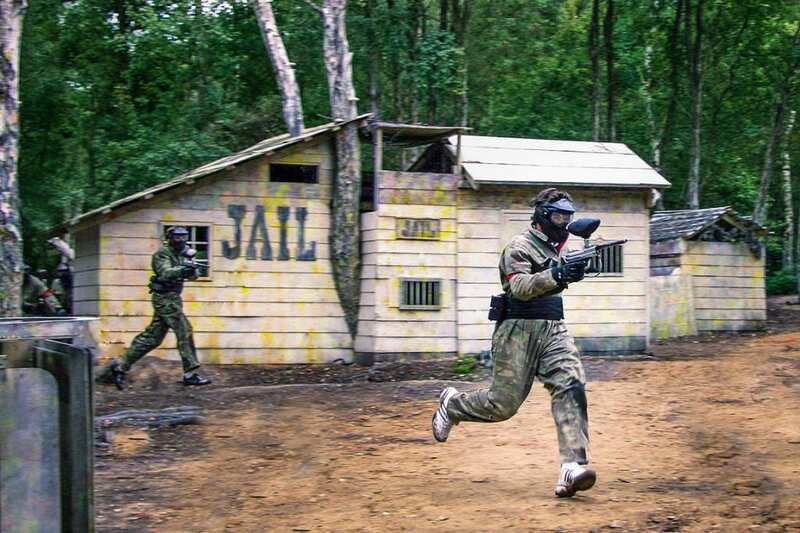 While playing paintball or Laser Tag in Cobham you won’t even notice you’re out of breath and you won’t be desperately looking at the time to see when you can go home. You’ll be in a 100-acre forest, laughing and strategising with friends and family alike, trying to win a fantastic game of paintball. With 12 different movie sets to choose from, your environment can constantly change and you won’t have to look at the same things every time you return. Equally as great? You won’t be on a moving treadmill going nowhere. You’ll be running towards a more fun, fitter self – and it won’t be hard work.